Dominican Sister of Peace Mary Sarita (Cecelia) McEneany (88) died at the Mohun Health Care Center in Columbus, OH, on September 28, 2018. She was born in 1930 in Columbus, OH, the daughter of Lucy Reeb and James McEneany. She entered Dominican Sisters of St. Mary of the Springs, now the Dominican Sisters of Peace, in 1950. Sister Sarita came from a family dedicated to religious service. One of six children, she was one of three of Lucy and James’ daughters that entered religious life. She also had two aunts who were Dominican Sisters. She learned from an early age how to share her gifts and serve others. At the occasion of her own Golden Jubilee, she reflected upon the changes brought about by Vatican II, saying that they made her feel more responsible for the needs and concerns of God’s people, and she served God’s people as a Dominican Sister of Peace for 68 years. Sr. Sarita earned her Bachelor of Science in Elementary Education from St. Mary of the Springs College, now Ohio Dominican University, and a Master’s of Science in Elementary Administration from the University of Dayton. She shaped many young hearts and minds as an elementary school teacher in Pennsylvania, Ohio, New York, Illinois and Michigan. She also served as Principal at the Blessed Sacrament School in Newark, OH. But her talents reached far beyond teaching and education. After retiring from teaching in 1980, Sr. Sarita served where she was needed most – in Pastoral Care at St. George Hospital in Cincinnati, OH; as a secretary and cook at Lourdes Rectory and School in Cincinnati; as a tutor, as a secretary for the podiatry office at the Columbus Motherhouse and for the North Broadway Children’s Center in Columbus, and Driver and Receptionist for Mohun Health Care Center. It seems fitting that when Sister entered her final ministry of Prayer and Presence, it was in her hometown of Columbus, in the midst of her friends and Sisters at Mohun. Sr. Sarita was remembered as a woman whose life centered on her God, a woman of great faith, of patience, and of unending gratitude. Sr. Mary Sarita McEneany was preceded in death by her parents, James and Lucy Reed McEneany; her sisters, Jane McEneany, Patricia Riley, Sister M. Patrick McEneany, OSF, Sister Barbara Ann McEneany, CSC; and a brother, James McEneany, Jr. She is survived by loving nieces and nephews. A Vigil of Remembrance Service was held at the Dominican Sisters of Peace Motherhouse Chapel, Columbus, OH, on Thursday, October 4, 2018. The funeral liturgy was also held at the Dominican Sisters of Peace Motherhouse Chapel on Friday, October 5, 2018. Sr. Sarita was interred at St. Joseph Cemetery in Columbus, OH. Memorial gifts in Sr. Mary Sarita’s memory may be sent to the Dominican Sisters of Peace, Office of Mission Advancement, 2320 Airport Dr., Columbus, OH, 43219 or submitted securely at oppeace.org. Dominican Sister of Peace Philomena (Irene Marie) Hrencher (95) died at the Great Bend Motherhouse in Great Bend, KS, on Friday, September 14. Sr. Philomena was born in 1923 in Sharon, KS, to Josephine Eck and Joseph Hrencher. She spent most of her 77 years of religious life in the Sunflower State, serving God’s people in education and medical ministries. Sister entered the Congregation in 1937, and worked as a teacher in a number of Kansas cities. She taught on a provisional certificate, attending summer classes every year until she was able to earn a Bachelor of Science degree from St. Mary College in Xavier, KS, in 1964. Sr. Philomena enjoyed her 12 years in the classroom, but she found her ministry in health care even more rewarding. She began this ministry in 1964, working as the Office Manager and Chief Accountant (and playing the organ) at St. Catherine Hospital in Garden City, KS. She loved the work so much that she returned to school at St. Louis University to earn her Master’s Degree in Hospital Administration. She went on to serve as the Coordinator of four of the Congregation’s founded hospitals, and was later named President and CEO of the Central Kansas Medical Center. She also served the Congregation as a member of the Executive Council from 1967-1969 and 1974-1978. In her later years, Sister Philomena served her Congregation as the Assistant Treasurer at St. Rose. She also served as a sacristan, and ministered in other forms of community service. In her homily at Sister’s funeral service, Sister Renee Dreiling shared many fond memories of Sr. Philomena – from her peaceful, prayerful manner, to her kindness to the Sisters in the Infirmary and their families, to her great love of the baseball and her Kansas City Royals – and of her love for her siblings and her family. Sister Philomena Hrencher was preceded in death by her parents and several of her siblings. She is survived by her Dominican Sisters of Peace religious community and one sister, Claudine Meng, Severy, KS. A Vigil of Remembrance Service was held at the Dominican Chapel of the Plains in Great Bend, KS, on September 16, 2018. A wake was held on Tuesday, September 18, 2018, followed by the Liturgy of Christian Burial, presided over by Father Robert Schremmer. Sister Philomena is interred in the Sisters’ Resurrection Cemetery in Great Bend, KS. 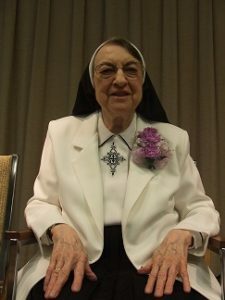 Dominican Sister of Peace Corinne (June Marie) Staub (90) died at the Mohun Health Care Center in Columbus, OH, on August 9, 2018. She was born in 1928 in Detroit, MI, the daughter of Edith Collins and Charles Raphael Staub. She entered Dominican Sisters of St. Mary of the Springs, now the Dominican Sisters of Peace, in 1948, and served God’s people for 68 years. A great lover of music, Sr. Corinne earned a certificate in Liturgical Music at the Pius X School of Liturgical Music at Manhattanville College of the Sacred Heart in Purchase, NY, in the summer of 1951. She earned her Bachelor of Science in Music Education from St. Mary of the Springs College, now Ohio Dominican University, in 1953 and went on to earn a Master of Science in Music Education from Notre Dame in 1961. Sr. Corinne put her love of music to work as a music teacher and a choir and orchestra director, a ministry that took her to schools in Ohio, Pennsylvania, Michigan and New York over 25 years. In 1993, she was the first recipient of the “Distinguished Former Teacher Award” given by the Alumni Association of St. Clare de Montefalco School, Grosse Pointe Park, MI, in recognition of the positive impact she had on her students. In the early 1980’s, God called Sr. Corinne to a new and very different ministry. After receiving certification in Nursing Home Administration and Retirement Housing at the Ohio State University, she served as the Administrator of Mohun Health Care Center and the Administrator at the Precious Blood Sisters Motherhouse in Dayton, Ohio. In her later years, Sr. Corinne served as a volunteer Sacristan at the Mohun Health Care Center and as a volunteer in the Congregation’s finance offices before moving to her final ministry of Prayer and Presence at the Mohun Health Care Center. In her preaching at Sr. Corinne’s funeral, Sr. Sheila McIntyre recalled Sr. Corinne’s great love of music, comparing her ministries to the songs of her life full of service and love. Sr. Sheila reminded us that every song from Sr. Corinne was sung to and for the God that she loved so much, and that we were all blessed by the music of her life. Sr. Corinne Staub was preceded in death by her parents, Charles and Edith Collins Staub, her brothers, Charles and Donald and her sisters, Carol Degen and Sister Dolores Staub, OP. She is survived by nieces and nephews. A Vigil of Remembrance Service was held at the Dominican Sisters of Peace Motherhouse Chapel, Columbus, OH, on Monday, August 13, 2018. The funeral liturgy was also held at the Dominican Sisters of Peace Motherhouse Chapel on August 14, 2018. Sr. Corinne was interred at St. Joseph Cemetery in Columbus, OH. 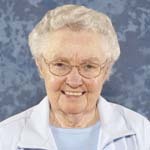 Dominican Sister of Peace Sister Catherine Burland, OP, 84, died at Mohun Health Care Center in Columbus, OH, on Thursday, July 12, 2018. She was born in 1934 in New Haven, CT, the older of Helen Kenny and Francis Burland’s two daughters. Sr. Kay joined the Congregation of St. Mary of the Springs, now the Dominican Sisters of Peace, in 1953. She earned her Bachelor of Science degree in Education from the College of St. Mary of the Springs, now Ohio Dominican University. 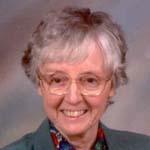 Sr. Kay taught elementary school in New York, Michigan, and Ohio for twelve years, sharing her love of learning with children in their earliest years of school. In 1968, Sr. Kay was the victim of a tragic shooting. This injury caused her severe pain and other afflictions that affected her for the rest of her life, but she continued to support her Congregation and the people of God to the best of her ability. She served as a Volunteer and in Support Services at the Columbus Motherhouse and St. George Hospital in Cincinnati, OH, as a librarian at St. Brendan School in Braddock, PA, and as a volunteer at the Dominican Learning Center and St. Stephen’s Community House. She continued her volunteer work after moving to Mohun Hall in Columbus in 1982. Her favorite ministry during this time was serving as sacristan at the Motherhouse and Mohun Health Care Center. In her diligent and loving care of the vestments and sacred vessels of the Mass, she said she felt closer to God. In a written memorial to her beloved aunt, her niece, Katie Renwaldt, admired Sr. Kay’s sense of style. Sr. Kay believed that tending to her appearance was one way to help reflect the beauty of God’s creation, and she showed a real sense of style. She was loved deeply by her family and returned that love joyfully. Sr. Kay Burland was preceded in death by her parents, Edward and Helen Kenny Burland. She is survived by her sister, Frances Renwaldt and her nieces, Helen and Katie. A Vigil of Remembrance was held on Wednesday, July 18, at the Dominican Sisters of Peace Motherhouse in Columbus, OH. The funeral liturgy was held at the Columbus Motherhouse on Thursday, July 19, followed by burial at St. Joseph Cemetery. 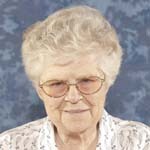 Dominican Sister of Peace Mary Jordan (Ernestine) Langenhennig, OP, 83, died at the Mohun Health Care Center in Columbus, OH, on Friday, May 25, 2018. A daughter of New Orleans, Sr. Mary Jordan began her life in the Crescent City, born as Ernestine C. to Birtles C. Langenhennig and Julie F. Seghers on November 14, 1934. Sr. Mary Jordan entered the Dominican Sisters of St. Mary’s in New Orleans, now the Dominican Sisters of Peace, in 1951. Sr. Mary Jordan earned her Bachelor of Arts in English at St. Mary’s Dominican College in New Orleans and her Master of Arts in English from St. Louis University in St. Louis, MO, in 1965. She served as a teacher at various schools in New Orleans, including St. Mary’s Dominican High School, from 1953 until 1969. In 1970, Sr. Mary Jordan followed God’s call to effect social and systemic change in the world around her and began a new ministry of faith-based community organizing. She served with a number of community organizations in New Orleans and as a member of the General Council for her Congregation while studying for her Masters in Religious Studies from the University of Chicago, which she earned in 1981. In her ministry at Las Casas in Thomas, OK, from 1981 to 1987, Sr. Mary Jordan worked with other Sisters and the local authorities to help create a better standard of community living for the local members of Native American tribes, as well as working in addiction ministries. On her return to New Orleans, Sr. Mary Jordan became involved in the Broadmoor community, and, working with other faith-based organizations, was able to gain a commitment from city government to make positive changes to aid the poor in the city. In 1992, Sr. Mary Jordan founded WIN (Working Interfaith Network), an organization that helps faith-based groups and congregations leverage resources to strengthen the congregations and the community. 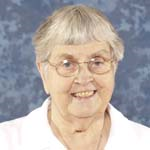 She served at WIN until 2000, when she accepted the position of Prioress at her Congregation. She served the New Orleans Motherhouse in prayer and service until 2010, when she moved to the Mohun Health Care Center in Columbus, OH, to complete her ministry of prayer and presence. Sr. Mary Jordan was preceded in death by her parents, Birtles and Julie Seghers Langenhennig, and her sister Jessie Scalia. She is survived by several nieces and nephews. Sr. Mary Jordan was celebrated at her wake at the Dominican Sisters of Peace Motherhouse Chapel in Columbus, OH, on Thursday, May 31. The funeral liturgy was held at the Dominican Sisters of Peace Motherhouse Chapel on Friday, June 1. Sr. Mary Jordan will be buried at the Dominican Sisters Cemetery at Rosary Spirit Life Center in Ponchatoula, LA. Interment will take place 11:00am on Friday, July 20.